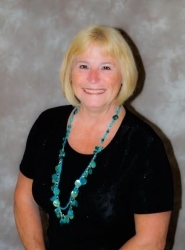 Home / Express Title Services of Citrus Inc.
Meet Bernadette Poorman – Title Agent For EXPRESS Title Services of Citrus INC.
Bernadette Poorman may look familiar to you. She wears many hats and does well with all of them!!! Since 1983 she has worked in the title industry and continues to do so today. Bernadette is an active real estate agent and never lets one hat interfere with the other. Her understanding of real estate and title goes hand in hand giving her customers a great experience. EXPRESS Title Service of Citrus Inc.